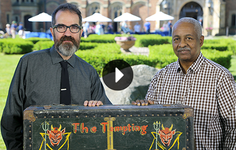 Answers to what you're wondering about ANTIQUES ROADSHOW's 2019 Tour! Yes, you must have a ticket to attend ANTIQUES ROADSHOW. Tickets will not be available at the door for any event. What is the "Knock Our Socks Off" (KOSO) ticket contest? 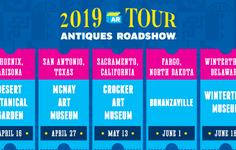 KOSO is a second-chance contest, for those who did not win tickets in the random drawing process, to be selected for tickets to an ANTIQUES ROADSHOW 2019 Tour event. KOSO ticket winners will be selected based on appeal to ANTIQUES ROADSHOW producers, who will select submissions of stories and photographs of objects that especially pique their interest. Up to 100 people will be selected for each of our five events. KOSO ticket winners will receive two free tickets. To be selected, you must be available to personally attend the ROADSHOW event for which you are applying and bring the same object you submitted with your KOSO application. See the Complete KOSO Ticket Rules for more information. When do I apply for KOSO tickets to an event? How many KOSO tickets can I get? If you are selected to receive KOSO tickets, you will receive two tickets. There is a two-ticket limit per household. At the event, each person may only use one ticket. How many KOSO tickets will be distributed? ANTIQUES ROADSHOW will select up to 100 people per event to receive two KOSO tickets. Winning KOSO ticket submissions will be selected based on appeal to ANTIQUES ROADSHOW producers. Is there a cost or service charge for KOSO tickets? There is no cost or service charge for ANTIQUES ROADSHOW event tickets received through KOSO or the ticket application process. You are responsible for all costs associated with traveling to and attending the event. ANTIQUES ROADSHOW event tickets have no commercial value, and the selling or re-selling of our tickets is strictly prohibited. If you see ANTIQUES ROADSHOW tickets listed for sale, the sale is NOT authorized by ANTIQUES ROADSHOW; we may electronically invalidate any tickets we find listed for sale and they will not be accepted for admittance to the event. Will ANTIQUES ROADSHOW confirm receipt of my KOSO application? Yes. When you successfully submit your KOSO ticket application online, you will receive by email a unique ID for each KOSO submission. This email will also contain a link that you can use at any time to review your KOSO ticket application. See the Complete KOSO Ticket Rules for more information. Selection of KOSO winners will take place shortly after the KOSO ticket application deadline for each event. Will you contact me to tell me if I was or was not selected as a ticket winner? KOSO applicants selected to receive tickets will be notified by ANTIQUES ROADSHOW approximately two weeks prior to the event for which the application was received and selected to receive KOSO tickets. All other applicants will receive no notice. If I am selected to receive KOSO tickets, when will I receive them? If you are selected to receive KOSO tickets you will receive an email on or around approximately two weeks prior to the events for which you applied and have been selected to receive tickets. Please note that only ticket holders will be admitted to the event. Upon arrival you may present either a print-out of your electronic ticket or have it available on your mobile device. If I was selected to receive KOSO tickets to an event, but haven't received them one week prior to the event, what should I do? If you are selected to receive KOSO tickets, and your e-tickets have not arrived via email one week prior to the event, please contact WGBH Member & Development Services at feedback@wgbh.org or (617) 300-5400 (M-F, 9:00AM - 5:00PM ET) for further instructions. Which cities are you visiting in 2019? We are always looking for new venues and try to visit as many new locations as possible each year. Among other considerations are the capacity of a location, its availability, and whether its distinctive characteristics suit our production needs. Please Note: If you would like to receive email alerts about future ANTIQUES ROADSHOW events, sign up for our "AR Extras" email newsletter. Yes, you must have a ticket to attend ANTIQUES ROADSHOW. Tickets will not be available at the door for any event. Ticket winners are selected from all eligible applicants by random drawing. Each ticket holder may bring two objects for appraisal. See the Complete Ticket Rules page for more information. The 2019 ticket application deadline has passed. Ticket recipients are selected from all eligible applicants by random drawing. Tickets will not be available at the door. Each ticket holder may bring two objects for appraisal. See the Complete Ticket Rules page for more details. If you are selected to receive tickets, you will receive two tickets. There is a two-ticket limit per household. At the event, each person may only use one ticket. Why is the number of tickets limited? Capacity at our events is limited. In the interest of fairness, we want to make tickets available to the largest number of households who wish to attend ROADSHOW events. Is there a cost or service charge for the tickets? There is no cost or service charge for ANTIQUES ROADSHOW tickets. Will you confirm that you received my ticket application? Yes. When you successfully submit your ticket application online, you will receive a unique application number by email. This email will also contain a link that you can use at any time to review your ticket application. See the Complete Ticket Rules page for more details. In mid-February, eligible ticket applicants will be selected through a random drawing. All applicants will be notified whether or not they have been successful on or about, Tuesday, February 26, 2019. If you are selected to receive tickets you will receive an email on or around February 26, 2019, containing your electronic tickets to the event. Please note that only ticket holders will be admitted to the event. Upon arrival you may present either a print-out of your electronic ticket, or have it available on your mobile device. If I was selected to receive tickets to an event, but haven't received them a week prior to the event, what should I do? If you are selected in the ticket drawing, and your e-tickets have not arrived via email within one week of the event, please contact WGBH Member & Development Services at feedback@wgbh.org or (617) 300-5400 (M-F, 9:00AM - 5:00PM ET) for further instructions. No, tickets will not be available on the day of the event and there is no waiting list. If you do not have an e-ticket, you will not be admitted to the event. We offer all of our tickets to the public free of charge. We provide a limited number of tickets to the local public television stations, which they may use for fundraising purposes. Any other form of sale or resale of tickets that are offered through the ticket application process is prohibited by ANTIQUES ROADSHOW. What is the Furniture Submission process? The 2019 deadline for submitting furniture has passed and we cannot accept any more submissions at this time. How and when do I make a furniture submission? Can I submit photos of other kinds of items? No. Only submissions of furniture items will be accepted through this process. Aside from selecting furniture to be displayed on set, ANTIQUES ROADSHOW does not screen items in advance. Will you acknowledge receiving my furniture submission? Yes. If you do submit furniture photos with your online ticket application, you’ll receive an email acknowledging your submission. If your furniture is selected, ANTIQUES ROADSHOW will call or email you no later than 30 days before the event to arrange for our specialized furniture mover to transport your furniture to and from the event. In order for us to transport and appraise your furniture, the owner must attend the event. If your furniture is selected, you and one guest will automatically be allowed admission to the event. If you don't hear from us by telephone or email to arrange pick-up of your piece, then your furniture has not been selected. However, if your application is subsequently chosen in the random ticket drawing, it may still be possible for you to bring the furniture to the event yourself, but in that case you will have to provide transportation for the furniture item yourself and be able to carry or maneuver the item during the event, which may include grassy, or otherwise uneven, surfaces and inclines. All 2019 events will begin at 7:30AM. Ticket holders will be admitted every hour according to the time on your ticket, and items will be appraised all day. When applying for tickets, you may specify whether you prefer a morning, midday or afternoon entrance time, and if you are selected for tickets, we will try to accommodate your request. The last entrance time of the day is 4:30PM. The event will end when all ticket holders in line have been given their appraisals. No, we do not allow entry into the appraisal area before the time on your ticket. Please plan to be at the event at the time specified on your ticket. However, if you miss your entrance time, you may join the end of the line. Doors to the event will close at 5:00PM. Driving and parking directions for the 2019 events will be available through our On Tour section in late February. Just follow the link to the specific event page that you'll be attending. Sorry, we will not be able to assist you in carrying or moving large or heavy items. You must be able to carry or maneuver your item yourself at the outdoor event, including on grassy and other surfaces and inclines. We are holding our event in a variety of historic and older locations, with various types of doorways and surfaces in each location. If permitted at the event you are attending, you may bring a cart or dolly, with non-metal wheels. Depending on the event layout, your item (and any cart or dolly) may have to fit through narrow doorways, or require use of an escalator or elevator. Please note: In some locations on this year’s tour, you will be parking in a remote parking lot with shuttle service to the event venue. Your items will need to fit through the shuttle vehicle door. For details about doorways, walking surfaces, shuttles and other information, please review the event page for the location you will be attending. 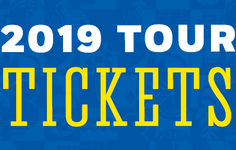 Event pages for the 2019 Tour will be available in mid-February through our On Tour section. Yes, you will have to stand and wait in line for a period of time. Please wear comfortable shoes as many of the event venues have various surfaces, including concrete, grass, stairs, and inclines. There is a limited number of chairs at the event. You may sit on them, but they cannot be moved. If you or your guest has difficulty standing for long periods of time, please feel free to bring a small, lightweight and portable chair/stool, or a wheelchair. Unfortunately, no. With very few special exceptions, everyone must wait in line. Will the event facility be wheelchair-accessible? Yes, all events are wheelchair-accessible. Yes. All ticket holders may bring two items for appraisal and will receive a free, verbal approximation of value for each item, regardless of whether or not they are selected by the producers to be recorded for television. No, we cannot allow you to enter the event unless you have a ticket and have brought an item for appraisal. Yes, children 12 and under do not need a ticket. All children under 18 years old must be accompanied by a parent or legal guardian. You must be at least 18 years old to apply for tickets. No more than two children may accompany an adult. Yes, but please note that any swords, knives or sharp objects must be sheathed or securely wrapped to prevent injury. Can I bring an antique firearm for appraisal? Yes, though ANTIQUES ROADSHOW will only appraise firearms that are antique and unloaded. Even if your firearm is deemed to be antique under federal law (such as a firearm manufactured prior to 1898 and for which ammunition is no longer available or manufactured), it remains subject to the laws of the local jurisdiction. Possession and transport of firearms is subject to federal, state, and local laws. It is your responsibility to know, understand and comply with all such laws and ordinances. Notwithstanding anything to the contrary, ANTIQUES ROADSHOW reserves the right to admit or deny any firearm, at its discretion, in consultation with local law enforcement personnel and venue management. Please leave all ammunition at home, as we do not appraise ammunition of any kind, and you will not be allowed to bring it into the event. All firearms must be checked by security personnel before entering the event. Use of trigger locks is required on all firearms, where possible, and we reserve the right to attach one to your firearm while it is at the appraisal event. Everyone entering the event is subject to search, for any reason. No. Each ticket holder can bring two items. ANTIQUES ROADSHOW does not prescreen these items. No, ANTIQUES ROADSHOW cannot recommend which items you should bring. However, please be mindful of size requirements described below. Otherwise, we simply suggest that you choose items that you would like to learn more about. Before deciding what to bring, you may like to click through our interactive slideshow feature "Things We Commonly See at ROADSHOW." No. Every ticket holder will receive a free verbal appraisal for up to two items at the event. No. ANTIQUES ROADSHOW only gives verbal approximations of value at our events and does not give written appraisals. Yes, each ticket holder must bring at least one item and no more than two items to the event. Yes, a collection of very closely related items may be considered as one item. If you do choose to bring several items and our appraisers determine that they do not constitute a collection, you will be asked to select two specific items for appraisal. If our appraisers determine that what you've brought is a collection, they may still ask you to select one or two items to serve as a guide for valuing the overall collection. You can also bring any supporting documents associated with an item (i.e., photographs, family notes, legal documents), as these may help our appraisers provide you with more information about your item. You must be able to carry the item(s) to and from the event, as well as throughout the event. In some venues, you may have to carry your item on an escalator or in a passenger elevator. In some locations dollies and carts are not permitted, and/or your item must fit through a shuttle vehicle door for a short ride to the appraisal venue. You must be able to carry or maneuver your item yourself at the event, including indoors and outdoors on grassy and other surfaces and inclines. Please check specific venue information for the event to which you have tickets regarding the carriage of your items. There will be about 70 appraisers, covering approximately 23 different specialty categories. Our roster of appraisers is subject to change until the day of the event. A list of participating appraisers will be available at each event. We staff each event with about 70 appraisers who cover approximately 23 different specialty categories. Although occasionally our experts are stumped, most often they will be able to answer your questions. We do not appraise vehicles, stamps, stock certificates, paper currency, coins, bicycles, tools, fossils, glass fire extinguishers, ammunition, explosives, or any other hazardous materials. You do not have to own the item(s) you bring in order to receive an appraisal from our experts. However, our producers can only consider an item for recording if its owner is present at the event. Yes, our producers can only consider an item for recording if its owner is present at the event. Yes, but if you contact a ROADSHOW appraiser in advance regarding the item(s) you plan to bring to an event, then we may not consider the item(s) for recording. Also, WGBH Educational Foundation is not responsible for any business or interaction you may have with an ANTIQUES ROADSHOW appraiser prior or subsequent to the event. Yes, you may use cameras or tape recorders in designated areas. However, photography, videotaping or recording is strictly prohibited in the appraisal area. You may not record any appraisals. Our experts see hundreds of people per hour. Some categories are busier than others, and this varies from event to event. The best advice we can give is that you should come prepared to wait. This way, you can relax and enjoy yourself. We hope you will also spend the time to explore our event venue and enjoy the festival atmosphere. 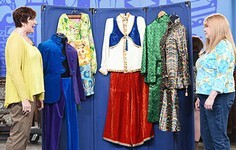 No, you may not buy or sell any item at ANTIQUES ROADSHOW appraisal events. No appraiser may solicit business with you at the event. No. You may contact an appraiser at a later date to discuss buying or selling if you wish, but not on the day of the event. As well as the information here on our website, there will be appraiser contact information available at the exit of each event. 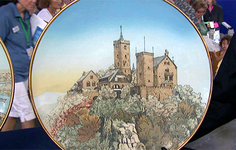 If you contact an ANTIQUES ROADSHOW appraiser prior to the event about items you plan to bring, we may decide not to record any items you bring, and WGBH Educational Foundation is not responsible for any business or interaction you have with an ANTIQUES ROADSHOW appraiser prior or subsequent to the event. No, we only appraise items in person, at ANTIQUES ROADSHOW appraisal events. Our experts donate their time for each appraisal event and do not work at the ANTIQUES ROADSHOW production office. 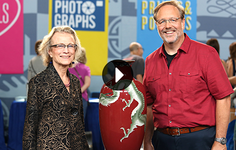 If you cannot attend one of our events, visit our online Appraisers Index to learn more about the experts who are featured on the show. No, we cannot recommend individual appraisers or companies. However, you may use our online Appraisers Index to find experts in many specialty categories, or someone specific that you've seen on the show. At the event, you will receive a list of appraisers and may also pick up appraisers' business cards. For information online, visit our Appraisers Index. Do I have to talk with the Press at the event if approached? 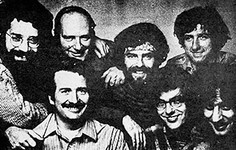 We are happy that members of the press will be at our events to report on our show. Members of the press will be escorted by an ANTIQUES ROADSHOW staff member. 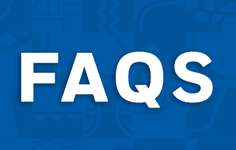 If asked, you are free to provide an interview, but are under no obligation to do so. If interviewed and asked, please only identify yourself by your first name to press. When will the shows you tape at 2019 events be on TV? 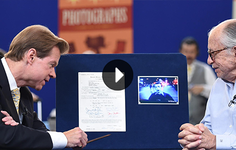 Appraisals taped during the 2019 Tour will be part of ANTIQUES ROADSHOW's 24th season, beginning in January 2020 on PBS.